Although cold and flu season are winding down (thank goodness), it's always a good idea to keep your medicine cabinet stocked and to have a few tips and tricks in your back pocket. We were lucky this season. No major illnesses or extended absences from school. Emma did, however, have an upper respiratory infection 2 weeks ago and missed 4 days of school. She was down for the count until the pediatrician decided to put her on a antibiotic. The antibiotic was great in combating the upper respiratory infection, but it did little for her irritated throat. That's when I turned to Zarbee's. 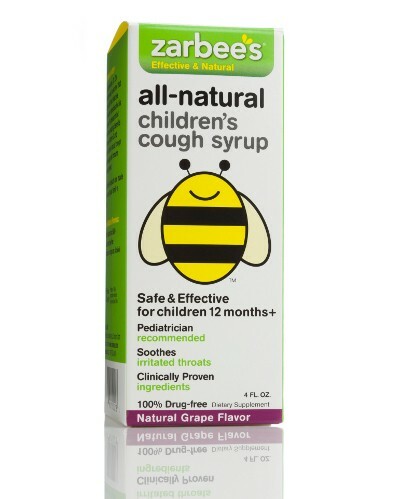 I was first introduced to Zarbee's at BlogHer '12. You can read all about how we met and what I learned. Since Emma was already taking prescription meds, I wanted to try to give her a natural alternative to sooth her throat. Zarbee's was the perfect choice. 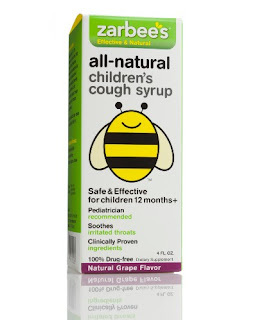 Zarbee's retails for about $9.00 per 4 fl. oz. bottle and can be found at drug stores, grocery stores, and mass retailers.